Mr. Randy L Neuman has been a member of the faculty and librarian at the university since 1982. He has served as Director of the United Brethren Historical Center since 1999. As Associate Director of Library Services he supervises Technical Services and Government Documents. 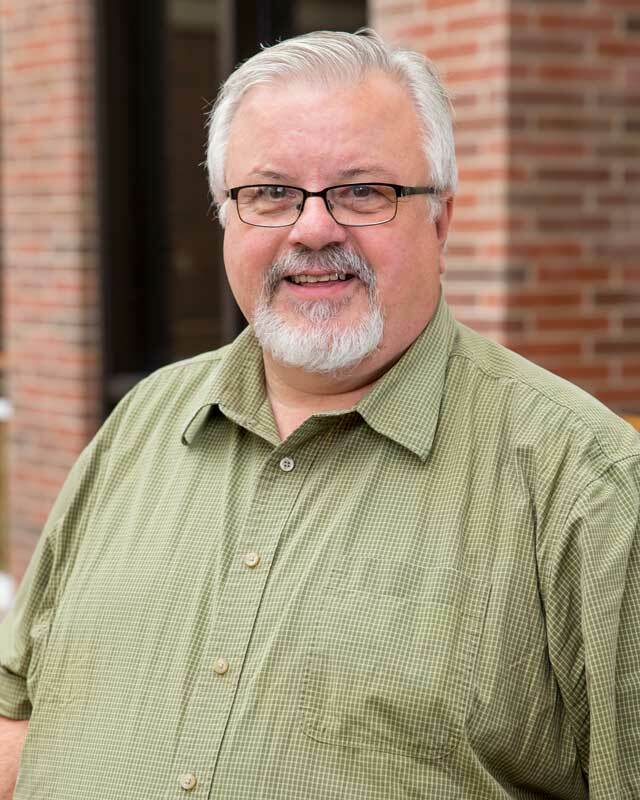 He also serves as Electronic Resources Librarian supervising the ILS, the library’s webpage, databases, and other information technology in the library. He also acts as the library’s liaison to the divisions of Humane Studies, Visual and Performing Arts, and Philosophy and Religious Studies. He received his B.A. in History from Huntington University and his A.M.L.S. from the University of Michigan. He has taken additional graduate course work in History from Ball State University. Mr. Neuman is a member of the following organizations: American Library Association Association of College and Research Libraries Association of Christian Librarians Midwest Archives Conference Society of Indiana Archivists United Brethren Historical Society.